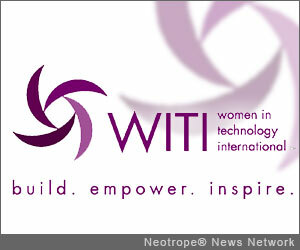 SANTA CLARA, Calif. /California Newswire/ — Women In Technology International (WITI) is delighted to announce the recipients of the 18th WITI Hall of Fame Awards, to be honored the evening of Monday, June 3, 2013, during WITI's annual three-day Women Powering Technology Summit at the Marriott Hotel in Santa Clara, Calif., June 2-4, 2013. The Women in Science and Technology Hall of Fame Awards, sponsored by the Women In Technology Foundation, are considered among the most illustrious honors for women in science and technology. * Laura Sanders, General Manager of Delivery Engineering & Technology and CTO for Global Technology Services, IBM Corporation. * For complete bios see: http://witi.com/2013halloffame . "The WITI Hall of Fame was established to recognize the notable contributions of women who are leading innovation in science and technology, and have demonstrated a commitment to supporting/ mentoring women and girls," says Carolyn Leighton, WITI Founder and Chairwoman. "These women represent the role models who will inspire current and future generations to reach higher and push new boundary lines to make a positive difference for all of us." For group Hall of Fame table reservations and sponsorship opportunities at WITI's 2013 Women Powering Technology Summit, please contact: Michele Weisblatt, Executive Vice President, WITI; 323-522-3125 / Michele@corp.witi.com. WITI (Women In Technology International) is the world's leading trade association for professional, tech-savvy women committed to using technology, resources, and connections to advance women worldwide. With a global network of smart, talented female professionals and a market reach exceeding 2 million, WITI has established powerful strategic alliances and programs to provide opportunities within a supportive environment of women committed to helping each other. WITI's mission is to empower women worldwide to achieve unimagined possibilities and transformations through technology, leadership, and economic prosperity. For more information, please visit http://witi.com/ . The WITI Foundation, a non-profit 501(c)(3) charitable organization, was founded in 1995 to promote philanthropic projects to encourage and support young girls and women in the pursuit of technology. The WITI foundation also supports various charities around the world.